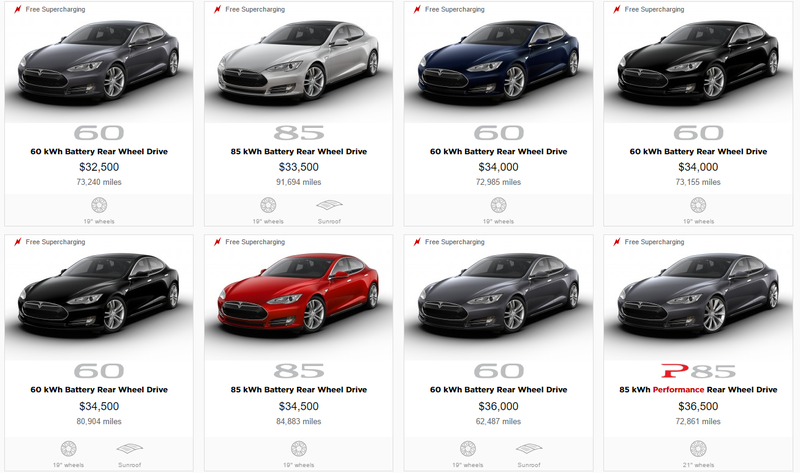 Tesla holds a tight grip on its used vehicle market through its certified pre-owned program. As previously reported, it resulted in the Tesla Model S retaining its value better than gas-powered cars in its segment – losing only 28% after 50,000 miles, according to an Autolist report. Unfortunately for people looking to get a cheap second-hand Tesla, it wasn’t the easiest thing to find a good bargain… until now. The automaker is now listing a lot of new Certified Pre-Owned Model S vehicles for less than $40,000. While you could sometimes find a used Model S in the $40,000 price range from different resellers or directly from the owners, it was rare to find a used Tesla Model S for that price in Tesla’s Certified Pre-Owned program. Under the program, the vehicles receive a full inspection and a four-year, 50,000 miles limited warranty with 24 hour roadside assistance on top of the remaining years/mileage of their battery and drivetrain warranty. These vehicles also receive “a full inspection, remaining battery and drive warranty”, but they get “a two-year, 100,000 miles maximum odometer pre-owned limited warranty with 24-hour roadside assistance” – instead of 4 years and 50,000 more miles. For some of those cars, it can mean only a few thousand miles to 15,000 miles, but others are still good for 30,000 to 40,000 miles under warranty, which can still be a good deal in that price range. With the “anti-selling” campaign that Tesla and Elon Musk have been doing for the Model 3, those vehicles might convince a few reservation holders to make the jump into Tesla ownership earlier than anticipated. While they can’t be configured to the buyer’s liking, Tesla is adding enough of them that there are a decent number of options to choose from. They main thing to keep in mind is that most of those vehicles not only don’t have the second generation Autopilot hardware, but they don’t even have the first generation Autopilot. The cheapest vehicle with first generation Autopilot is going for $47,000. If you find any gem, let us know in the comment section below.